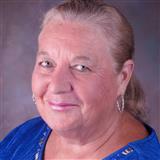 Hi, I'm Sheila Hammons your Re/Max agent. My goal is to be the perfect solution to your need for a Realtor with assertive, optimistic, and dependable service. Do you want to work with a Realtor® that is willing to put in the time and effort to be your advisor? Someone who can think outside the box and look at the “big picture”, someone who “listens”, yes, really listens to the small stuff that is important to you and your family, someone who is ready to dig a little deeper and get all the facts. Someone not afraid to offer a dose of reality when needed. If so, I'm your agent! Your Realtor® should be much more than just a glorified search engine. Your agent should be your “real estate advisor”. As a consumer you have 24/7 access to many online home website portals that provide you the ability to search for all types of properties, get “zestimates”, check tax records, sales, and ownership. However, when you are looking at making one of the biggest financial investments of your life, is that all the information you really want or need? I think you will agree, to make a well informed decision you would be better served to enlist the help of a Realtor®, like me, to guide you through the process successfully. I don't just sell homes, I sell a lifestyle. Sales and marketing is my business, providing outstanding customer service is my job.